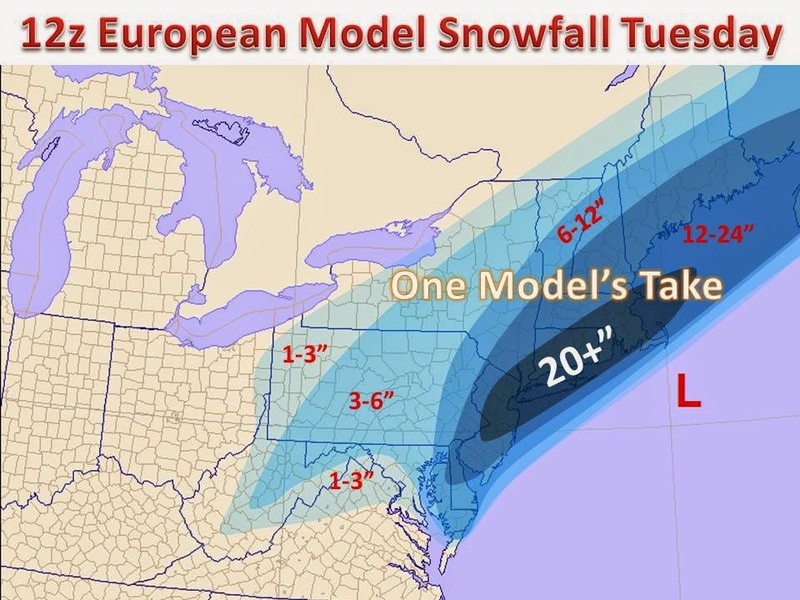 Here is the latest European model take on the system. The GFS and NAM concentrate the heaviest snow from Boston to Maine, but the Euro has a historic event 3 days from now! While this part of the system will not impact the Midwest, the nation's travel system will ripple delays throughout. Be sure to share with your east coast friends! This is part of the same energy that will bring a couple inches of snow to the Midwest Saturday night and Sunday. The forecasted snow amounts are plotted for you below, this comes off the RUC model, which has had a good handle on the system as it developed in southern Canada before crossing into the United States early today. 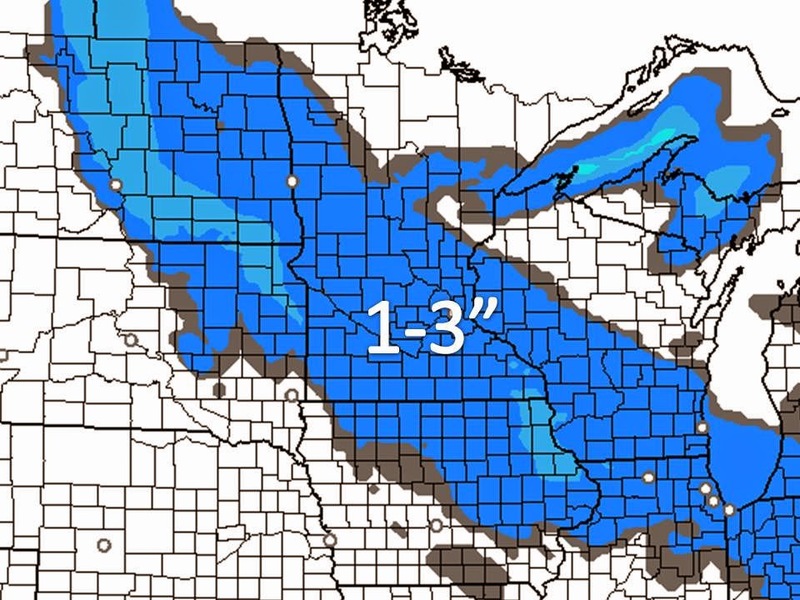 A general 1-3" will fall, with 4" in very isolated locations within the wide band of snow.